Our teams offlavourists and technicians develop the flavours of tomorrow, aiming not only to satisfy but also to anticipate customer demand. They use a network of university centres and ingredient suppliers, giving them access to knowledge of new products and processes. 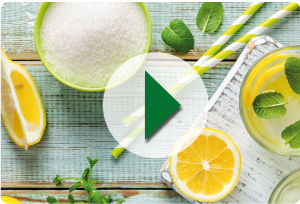 Our flavourists provide internal training and validate the work methods of R&D teams in the group’s subsidiaries, with whom a real process of sharing innovations and knowledge has been established. In perfect synergy with the company’s sales and marketing team, our teams listen to the needs of our customers during product development.